My kids and I had a chance to have a photo shoot courtesy of Blow Up Babies. 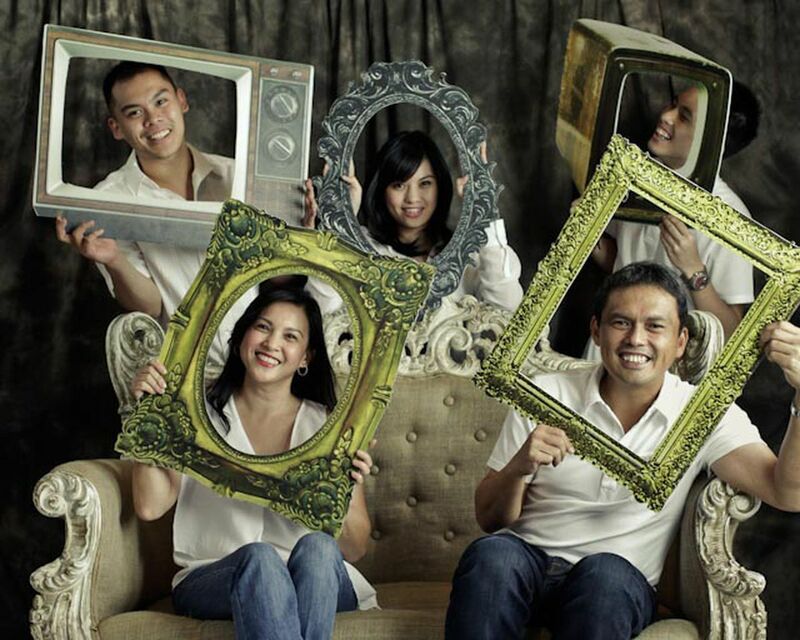 The photo studio was established by two of its owners Ning & JA Tadena (who both work in the advertising indus(who both work in the advertising industry) to provide high quality portraits with competitive yet reasonable prices, and excellent customer service as our guarantee to customer satisfaction. I’ve worked with Ning before for an ad when she did my make up back in 2007 and Blow Up Babies was new then. When she told me their concept on how they shoot (take photos that is) of babies in enlarged settings I was amazed at how cute and unique their idea was. 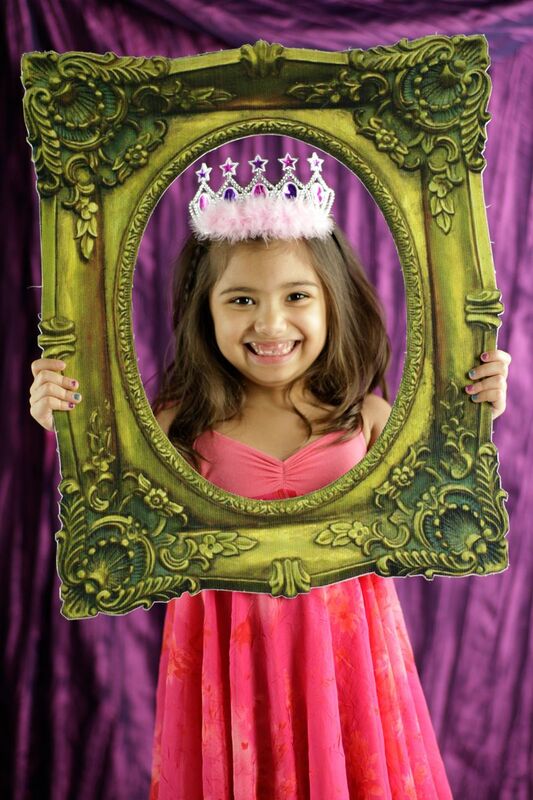 Sadly, I wasn’t able to schedule Gabbie to a photoshoot like this when she was a baby. Now my gwapito is almost 9 months old and is super likot I don’t know if we can manage to let him sit still for a few good seconds in costumes and such. 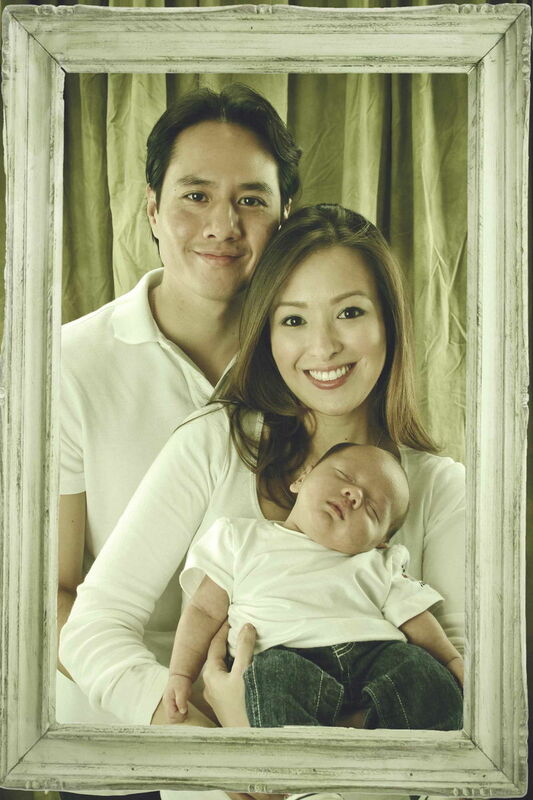 Nonetheless, we had our photo shoot two weeks ago at Blow-Up Babies in Serendra. Pardon the slightly stressed look I was sporting that day. I had about two hours of sleep because lil’ Mr. GJG just couldn’t sleep, his two upper teeth popped out. Thus I resorted to my essentials which is my concealer, eyebrow kit and a bright lipstick! Di ba, gulo-gulo lang ng hair parang gusto kong suklayin yun hair ko sa photos LOL. I love that my kids, despite that they’re sleepy especially Juro were behaved during our shoot. They were all smiles and were really cooperative and listened to the instructions of the photographer. I was so OC I had to bring at least 3 sets of clothes so we can be all matchy-matchy! I tell you 1 hour is not enough if you have kids to photo shoot with ha. Still, it was a fun shoot despite Mr. GJG being absent ‘coz he had work. Anyway, here are some themes and photos that Blow-Up Babies can do. If you have a particular theme in mind Blow-Up Babies can customize their set up for you. BlowUp offers different cost-efficient packages catering to the needs of each client. 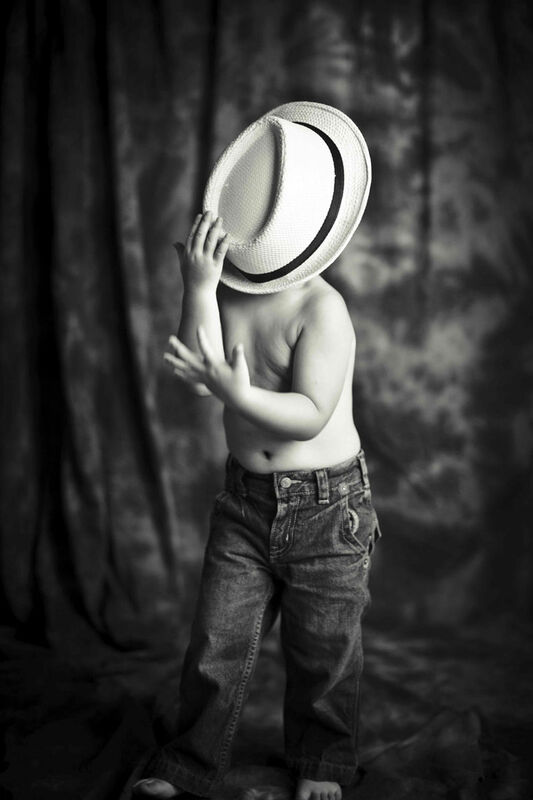 A 1 hour photo session entitles the client to unlimited setups as well as unlimited shots. From conceptualization to the actual shoot, our photographers make sure that the client gets the most out of his/her BlowUp experience. 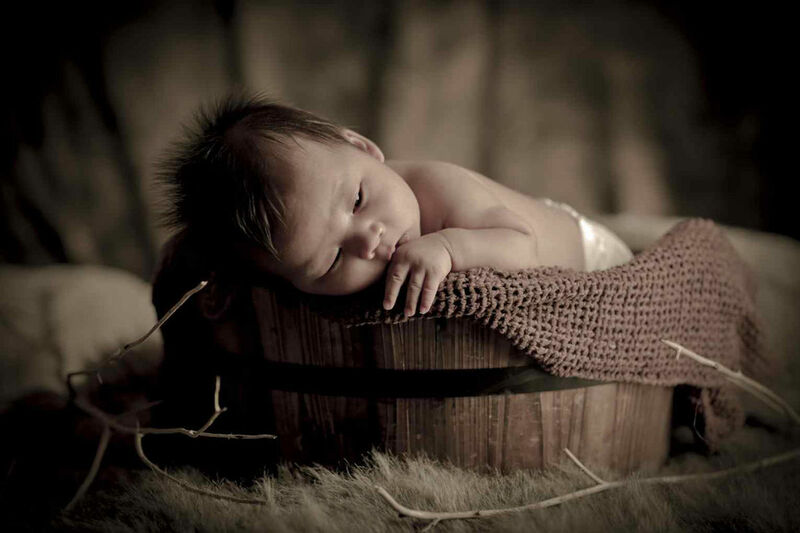 We also offer a special maternity package wherein all expecting moms who avail of this package gets a FREE Photo Session GC valid until her baby turns 3 months old! Our clients also have the option to upgrade their low-res files to hi-res, or to purchase additional files on top of their package. For the BUBSatellite packages, we do the set-up depending on your needs. The BUBarazzi packages include 4 hours of service and one location/site. 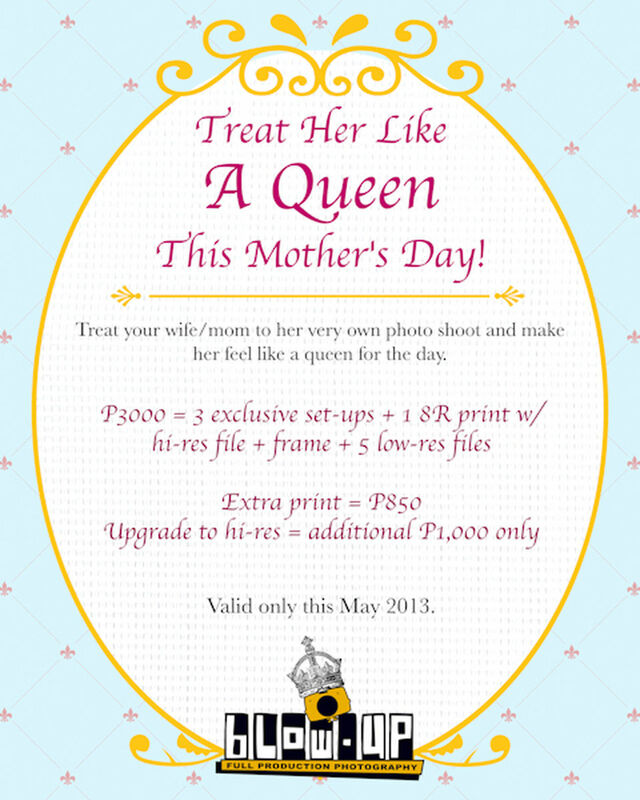 They have an ongoing Mother’s Day Promo that’s valid until May 31, 2013. 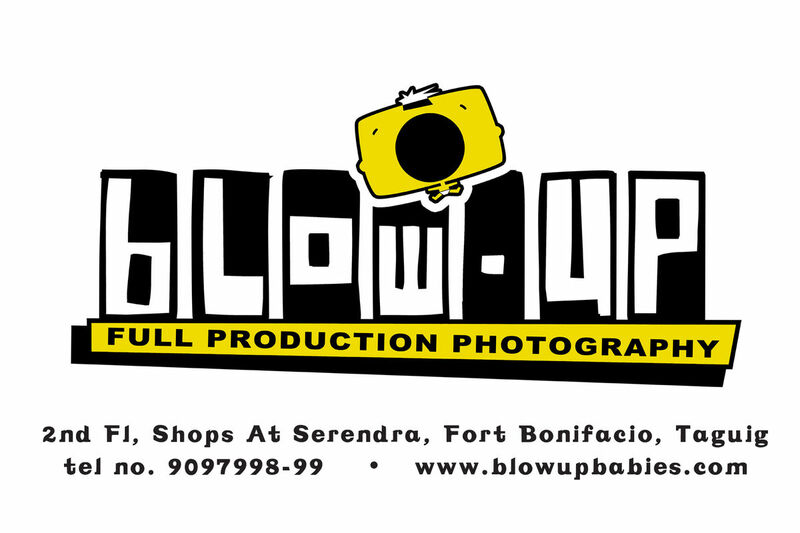 For more information visit www.blowbabies.com and like them on Facebook. You still look gorgeous no! And I love Juro’s big wide smile! Sayang wala si daddy J! Oo kaya ngarag ako kasi may change outfitey pa kami heehee. But I love your photos!